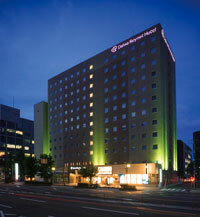 Daiwa Roynet Hotel Oita is at the ideal location in the center of Oita City. Standard single rooms are 18 square meters, and the width of bed is 154 cm. This is a modern stylish hotel providing one rank higher. 8 minutes walk from JR Oita Station, North exit.